Recently, Florida’s Second District Court of Appeal issued a decision in the case of Zachary Daniels v. the State of Florida. This appeal involved a dispute over the issue of how police officers are allowed to legally obtain evidence. While this is certainly a highly technical issues, it is one that is critically important for criminal defendants in Florida. Local enforcement officers have a duty to collect evidence in a way that does not intrude on the rights of the citizens. Similarly, state prosecutors have a duty to ensure that evidence is used in a fair manner in the courtroom. If authorities fail to live up to these duties, citizens will not be able to receive a fair and just trial. According to court records, there was a misdemeanor warrant out for arrest of Daniels. After getting a tip about where Daniels lived, a Florida detective went to his alleged home in an effort to serve that warrant. Upon arriving, the officer found Daniels seated in his truck in the driveway of the home and placed him under arrest. Without obtaining consent from Daniels, the officer then walked around the perimeter of the house in order to see if anyone else was on the premises. While doing this, the officer was able to look into an unobstructed window and see both a pistol case and a small amount of marijuana. Using this information, the officer requested (and received) court approval to conduct a full search of the home. After searching the home, officers found a much larger amount of marijuana as well as two guns. As a convicted felon, Daniels was legally prohibited from owning any firearms. Was the Evidence Legally Obtained? When this case reached trial, the lawyers for Daniels filed a motion to suppress the evidence. A motion to suppress is a very valuable legal tool that can be used to get unlawfully obtained evidence removed from the court record. In this case, the argument was made that the evidence was unlawfully obtained because the officers were only able to get a search warrant for the house because the first officer saw the contraband through the window. The defense argued that the officer did not have the legal authority to go around the house and look through that window. Unfortunately for Daniels the appeals court did not agree. According to the court, the officer had a valid safety reason for going around the house and he was allowed to look through the windows as long as the view was unobstructed view. Therefore, any evidence obtained at that time was lawfully obtained and could be used to get a search warrant. Is Evidence Being Used Fairly in Your Case? The evidence was lawfully obtained in this case, but many cases, evidence must be suppressed. Sadly, state prosecutors often try to get illegally obtained evidence into a trial. 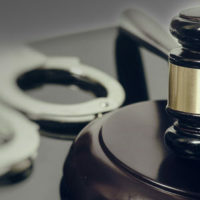 If you have been charged with a crime, you need to protect your right to a fair trial and the aggressive criminal defense attorneys at Pawlowski//Mastrilli Law Group can help. If you are facing criminal charges in the Tampa area, please call us today at (813) 242-4404 to set up a free review of your case. Our team represents defendants throughout the region, including in Hillsborough County, Pasco County and Pinellas County.